Minnigaff parish in Kirkcudbrightshire, Galloway, bears a distinctive footprint of Presbyterian dissent. 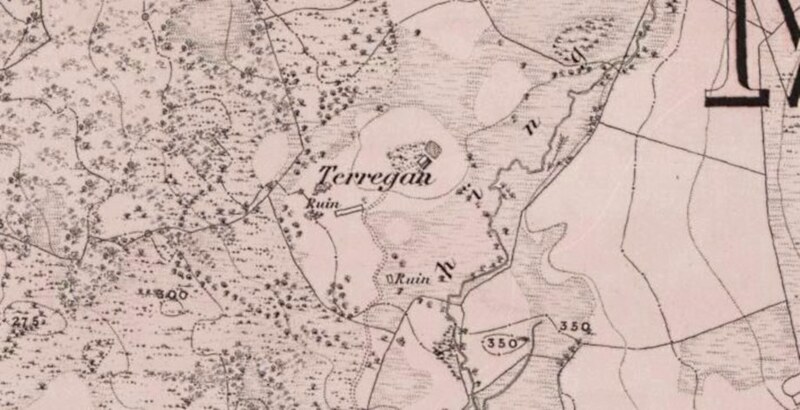 Five landowners in the parish were forfeited for their part in the Bothwell Rising of 1679: Patrick Dunbar, younger of Machermore, Patrick Herron of Little Park, Patrick Murdoch of Cumloden, Anthony McKie of Glencaird, who hid at the White Cairn in the parish, and John Mackie of Larg (after his death). 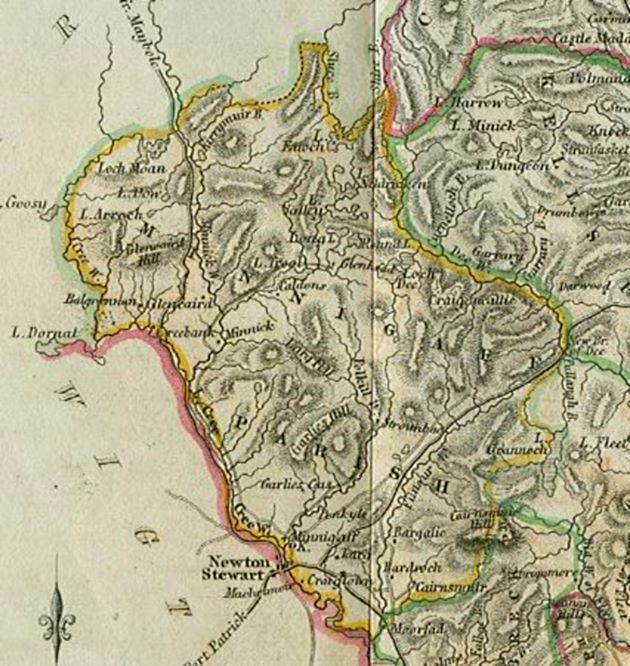 In 1680, Minnigaff parish was one of the parishes interrogated for information about the whereabout of the traitors behind the Sanquhar Declaration. In January, 1685, it was the scene of the killings at Caldons. The Edward McKean summarily executed in Carrick in 1685 was probably from the parish. Alexander Peden preached there in 1685 and the Earl of Hume’s militia were present at Minnigaff in the middle of that year. Tradition indicates that James Renwick may have preached at the Preaching Howe in the parish and that the Society people may have killed an intelligencer from the parish. The summons to the circuit court held in Kirkcudbright in October, 1684, mentions two men who were accused of either being at Bothwell, or hearing preachers connected to the rising. He appears on the parish list of October, 1684, as ‘Alexr Heuchan, there’ possibly under Strathmaddie to the south of Bardrochwood. He appears on the parish list as ‘Antony Dunbar in Craignew’. Craignell was a remote location in the parish. It now lies beside Clatteringshaws Loch, a reservoir created in the 1930s. 1. & 2. James Gordon, younger of Craiglaw, and James Martinson in Glenhapple. James Gordon was a forfeited fugitive from Kirkcowan parish and James Martinson a fugitive rebel from Penninghame parish. Both parishes lie in Wigtownshire and directly to the west of Minnigaff. Algeo appears on the parish list of late 1684 under the Barony of Larg and town of Minnigaff. 3. William Stewart, son to the Wadsetter of Larg, Minnigaff parish. He appears on the parish list of late 1684 in Gleckmalloch in the Barony of Gerlis. McKie also appears on the parish list in the same household as the above. Cunningham appears on the parish list as ‘William Cunningham in Clauchre’. 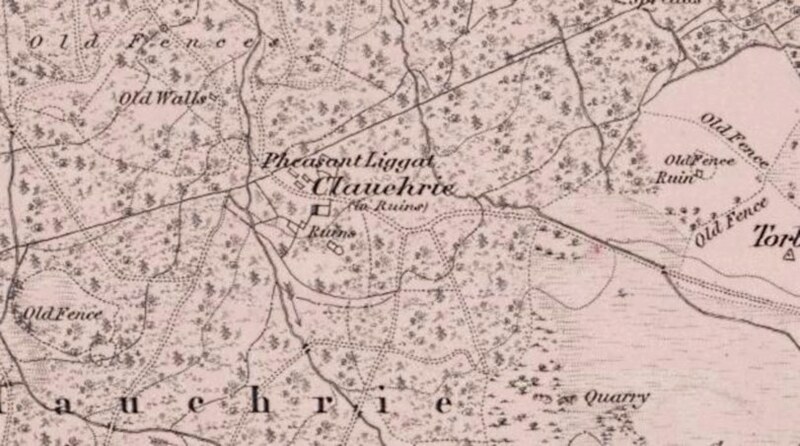 Clauchrie lay to the west of Torbain and close to the home of Patrick Murdoch of Cumloden. The William Kennedy that Cunningham was accused of converse with was another fugitive from Wigtownshire. 4. William Kennedy in Barnkirk, Penninghame parish. Barnkirk lies in Penninghame parish, which is located on the western boundary of Minnigaff parish. In the late 1670s, John Welsh, the former minister of Irongray, field preached at Barnkirk. He appears on the parish list as ‘William McGill’ under the Barony of Larg and town of Minnigaff. He appears on the parish list of late 1684 with Robert Roxburgh at the top of the list for the Barony of Larg and town of Minnigaff. He appears on the parish list under the Barony of Larg and town of Minnigaff. 5. Anthony Stewart, son to the Wadsetter of Larg, Minnigaff parish. Walker appears on the parish list under the Barony of Larg and town of Minnigaff. McMillan appears on the parish list under the Barony of Gerlis. Kirrochtrie is Kirroughtree. A later house built in 1719, which is now a hotel, stands on the site. Near Dalnaw © Iain Thompson and licensed for reuse. MacTaggart appears on the parish list under the Barony of Gerlis. McHarg appears on the parish list in ‘Miniwiek’, i.e., Minniwick. Minniwick lies to the south east of Glentrool Village. 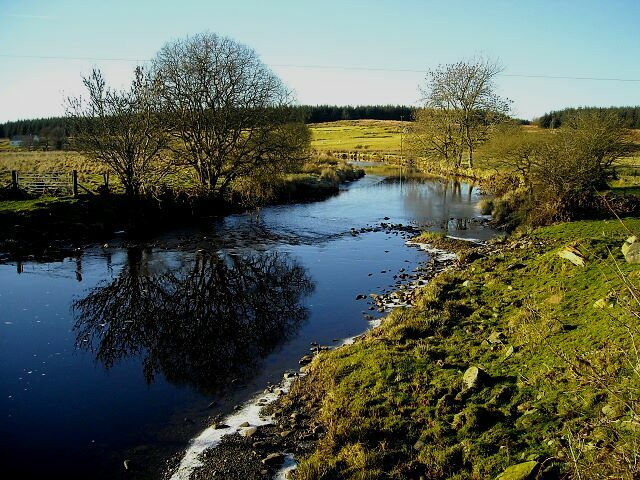 Minniwick lies near Glenvernoch, the home of one of the Wigtown Martyrs. The next entry is fascinating, as Caldons/Caldons Wood was were several killings took place a few months after the summons. McWhirter appears on the parish list under ‘Caldeens’ in the household of Archibald McWhirter and Janet Gordon. All three of the people mentioned appear on the parish list. Thomson is recorded as ‘Alexr Thomson in Cardorcan’. McMillan appears on the parish list. Glenmalloch stands beside the Preaching Howe in Minnigaff parish. They appear on the parish list of late 1684 as ‘John Steuart in Tarregan’ as do ‘Rott Steuart’ and ‘John McTaggart’. 6. Archibald Stewart, son to the Wadsetter of Larg, Minnigaff parish. They appear on the parish list as ‘John McKie in Palgouen’ and ‘Michael McTagart in Kirkcastle’ in the Barony of Buchan. Palgowan lies beside Gleckmalloch, see above. Watson appears on the parish list under the Barony of Larg and town of Minnigaff. Roxburgh appears on the parish list at the top of the list for the Barony of Larg and town of Minnigaff. ~ by drmarkjardine on September 1, 2014.